Galley Wench Tales: Great Nose! Given we’re regularly swapping spit and other liquids, I didn’t sweat it when Wayne sniffed my Virgin Islands Mango Ale too deeply. In appreciating its “Great nose!” he dipped his in it! 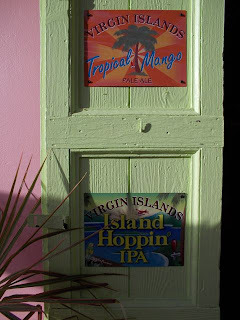 Since leaving St. Martin, and entering The Virgins, I've not seen a dominantly advertised island beer. The most local beers I've seen are the Virgin Islands beers; as they’re a bit higher end, there are less predominant. 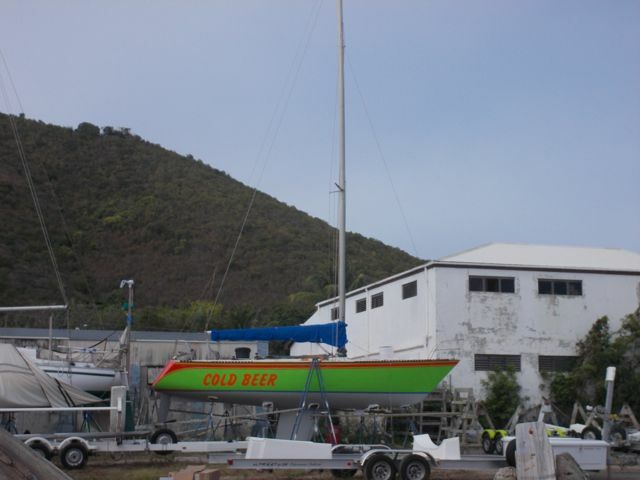 In St. Thomas, I tried the local Blackbeard Ale, which tasted more like a porter. 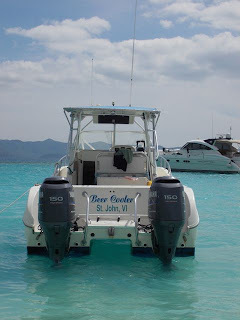 yard, then at Trellis Bay, in the water. Now, I do write a lot about alcohol. Like it or not, that’s because it is the most consistently prominent cultural identifier I’ve seen in our travels. Here’s a few more recent examples…. "Painkiller" was at Bitter End, off Virgin Gorda. 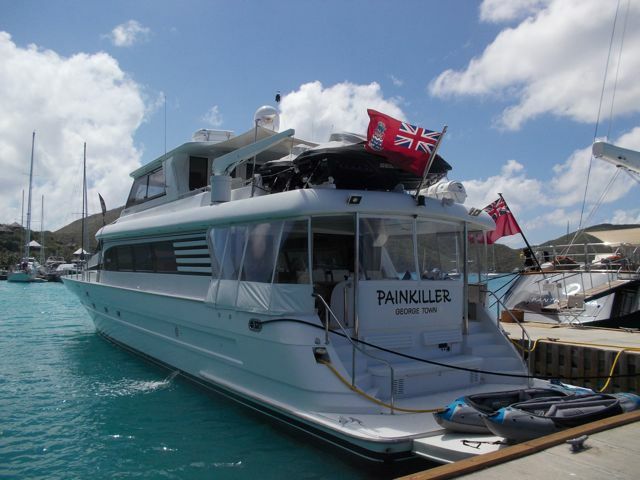 Click here if you're not sure what a Painkiller is, Caribbean style. 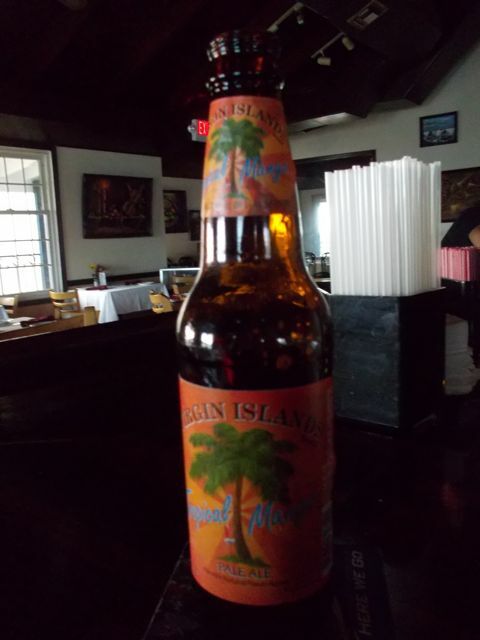 Local Caribbean rum & beers would put Starbuck’s, the iconic coffee culture of my home in the Pacific Northwest, to shame. An online Youtube channel called Reserve did a feature on the VI Brewing guys. The show is called Ex-Pats and is hosted by Savannah Jane Buffet. Very interesting story. Thanks Bob. Found out that Blackbeard's Ale is also a VI brand beer. The packaging was so different for that than the other VI quartet of beers, which is what threw me off initially. Anyhow will check out the video.